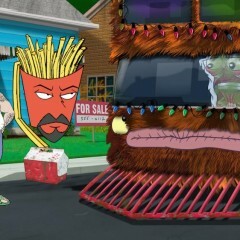 About a year and a half ago I finished some work on the Cartoon Network’s Aqua Teen Hunger Force. It’s a few very special background paintings. Watch this Sunday at midnight.